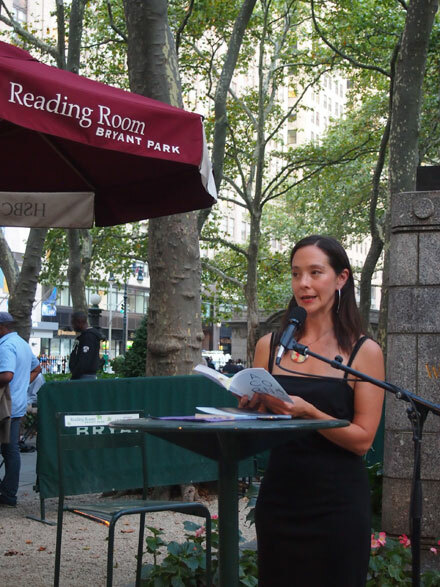 On August 27, poets and poetry lovers gathered at Bryant Park for and evening of readings with Alice James Books authors. 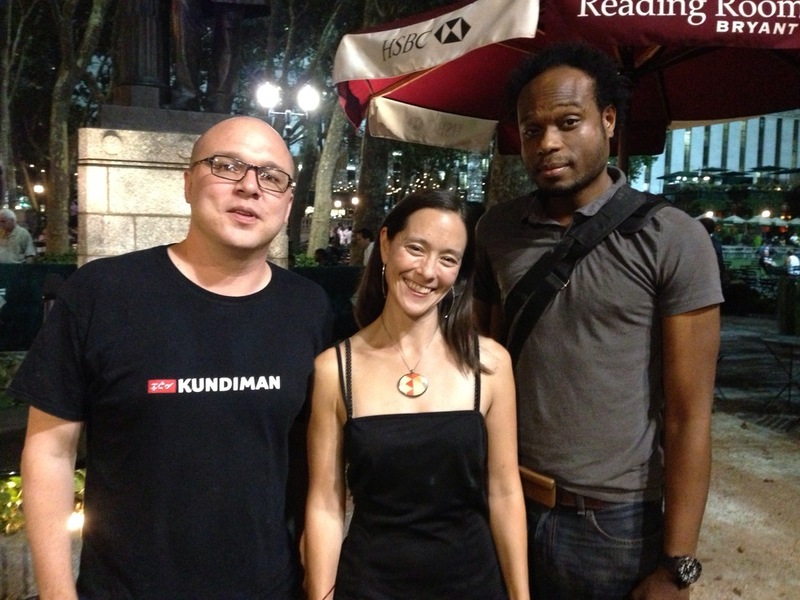 I loved sharing the stage with Matthew Olzmann and Jamaal May -- fine poets and excellent readers, both. 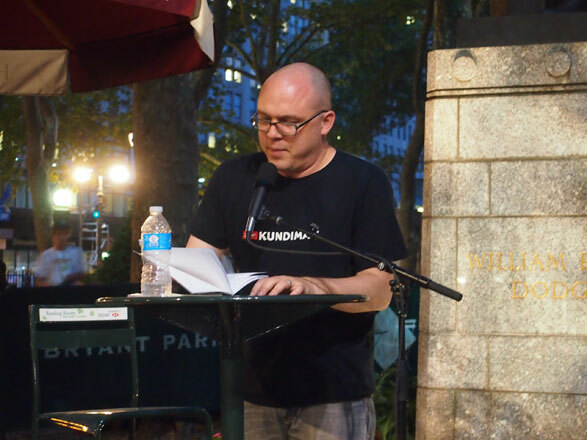 Reading from Yoko Ono's Acorn. The one and only Matthew Olzmann! All the readers. Thanks to Laura McCullough for taking the pic!